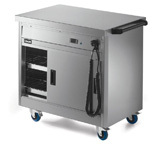 Overall kitchen capacity, the ability to prepare for service in advance, and food quality can all be improved by having the proper hot food storage solution in your business. 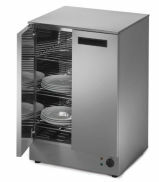 Catering Appliance Superstore supply a wide range of hot cupboards, bain marie tops or plain tops, mobile or static, all at very competitive prices. 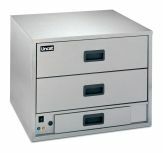 Warming drawers are especially useful if you wish to maintain humidity as well as temperature. 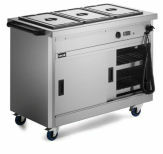 We also supply space efficient plate warmers to ensure hot food goes out on plates which are nice and warm but not dangerously hot as can be the case when plates are stored in lower ovens - absolutely essential for food retailers who care about attention to detail. 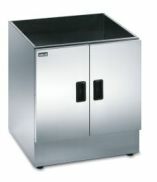 Suitable for: Hotels, Bed and breakfasts, Restaurants, Cafés, Schools, Hospitals, Residential homes, Prisons, Armed forces.